Having a transparent header in Divi is a common design trend which allows your hero section to have a greater impact when the user first visits your site. The Navigation menu is still visible but the menu bar it sits in is transparent as in the screenshot below. Having a transparent menu prior to scrolling the page (the Primary Menu Bar settings) means your main header image can fill the screen without a distracting solid menu bar at the top of the page. Most sites using a transparent background for the primary menu will have it set to become solid or semi-transparent once the user scrolls down the page (Fixed Navigation Settings) so that the menu item text links are visible against the content of the page. The good news is that new features that were introduced in Divi 2.4 allow for greater control over the Divi header, including making it transparent or any level of transparency. To achieve a transparent or semi-transparent primary menu bar in Divi you will need to access your Theme Customizer. 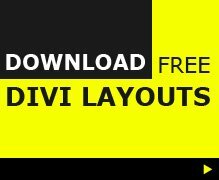 To achieve a transparent or semi-transparent fixed navigation in Divi you will need to access your Theme Customizer. In the Fixed Navigation Settings, section scroll down to Primary Menu Background Color and use the right-hand opacity slider to reduce the opacity to 60, or whatever leaves navigation links visible as you scroll over the age content. 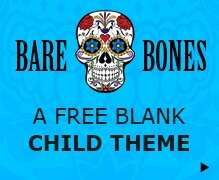 There is a good chance that you will want to have your homepage navigation bar background to be different from the rest of your site as your homepage may have a dark video header or hero image, whilst all your inner pages have white backgrounds. I find it best to set the primary and fixed navigation background to that which I want for every page on my site, except the homepage. I can then use some extra CSS to style the homepage menu separately. Add the following into the custom CSS box and edit the rgba color & opacity code to your own. The code below will make the menu background white with 50% opacity.